About Alpine Roofing Complete – The Number One Local Choice! 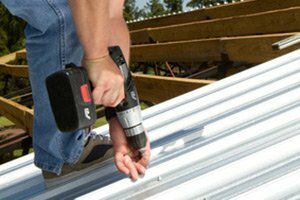 For residential and commercial clients looking for the best in local roofing contractor services, the name to trust in is Alpine Roofing Complete. Owner and founder, Joe Harrison, began his professional career working for a licensed builder in 1984, but it didn't take long for him to branch out on his own. In 1987 he started working for himself in the field of interior and exterior home remodeling. His dedication to quality workmanship, customer care and honesty have helped act as the cornerstone for building this solid company. By using continuing education, Joe Harrison has been able to master all facets of the services he offers for his home improvement company. This includes, but is not limited to, certifications through Certainteed, Air Vent, Owens Corning and the Vinyl Siding Institute. He currently carries a builder's license and is able to perform all of the same duties and services that he offers to his clients. What makes this team superior is using the best materials, making sure all installations are only carried out by certified contractors as well as listening to and exceeding the expectations of each and every client.